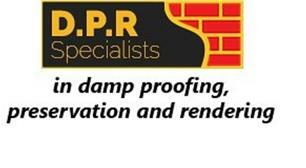 DPR Specialists - Damp Proofer, Plasterer based in North Shields, Tyne and Wear. We are based in North shields , and cover all of NE, SR, DH post codes and the surrounding areas. We specialize in rising damp, condensation control, wet/dry rot treatment, woodworm treatment, crack stitching, all internal plastering services, and Colour Rendering Services. We are fully qualified tradesmen with NVQ Level 3 in Rendering, Plastering & Damp-proofing. We have built up a successful reputation gained through the quality of our work. We guarantee an affordable service with a professional finish. So if you are looking for trustworthy and experienced tradesmen to do the job right, then give us a call for your FREE quotation.